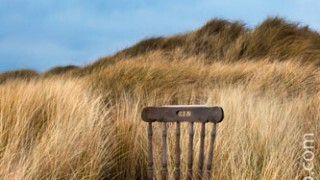 Abandoned Wooden Chair on Bull Island, Dublin, originally uploaded by Dave Walsh Photography. Abandoned Wooden Chair on Bull Island, Dublin, 7 February 2010. © 2010 Dave Walsh, All Rights Reserved. Please contact me for usage details. From an ongoing series: The Things I Found on Bull Island Abandoned Wooden Chair on Bull Island, Dublin, originally uploaded by Dave Walsh Photography.